Truefitt and Hill's popular West Indian Limes Aftershave Balm constitutes a rich and soothing moisturiser, containing lanolin and aloe vera extract. The West Indian Limes scent has lively top notes of lime, lemon and bergamot combined with a heart of petit grain, neroli and citronella resting on base notes of orange-flower and clove. Perfect for all skikn types, especially those with sensitive skin. Although suitable for all skin types, this balm is especially ideal for gentlemen with sensitive skin for whom shaving causes irritation. Presented in a glass pump action bottle which is embossed with the Truefitt and Hill logo. Apply a small amount of aftershave balm to nourish, soothe and moisturise your skin after shaving. We recommend using an aftershave balm in order to nourish and moisturise the skin after shaving. This will ensure skin stays hydrated. 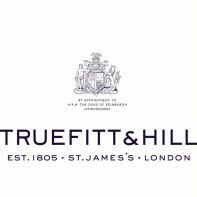 Truefitt and Hill's West Indian Limes Collection is an extensive range and expands to products such as shaving soaps, creams, aftershaves and colognes. To view Truefitt and Hill's complete collection, click here. Alternatively, if this is not the aftershave balm for you, click here to see our full range of post shave treatments. Aqua (Water), Isopropyl Myristate, Stearic Acid, Propylene Glycol, Glycerine, Aloe Barbadensis (Aloe Vera Extract), Parfum (Fragrance), Triethanolamine, Lanolin, Sodium PCA, Ceteatyl Alcohol, Imidazolidinyl Urea, Carbomer, Methylparaben, Allantoin, Propylparaben, CI 42090, CI 42053.